I'm not saying I am a complete expert on getting work experience, but something I get asked frequently by so many people is, "How did you manage to get that work experience?" Since I was 14, I have completed work experience during every school holidays, whether that be over Christmas, Easter or Summer. It has varied heavily, from one afternoon a week to the full on 9-5 five days a week. I am a Politics student, and my work experience is largely political. But I still hope you can gain some tips from this blog post, if you are looking to secure work experience. So, a little about my experience. For four years, I helped at my local MP's Constituency office over the school holidays. 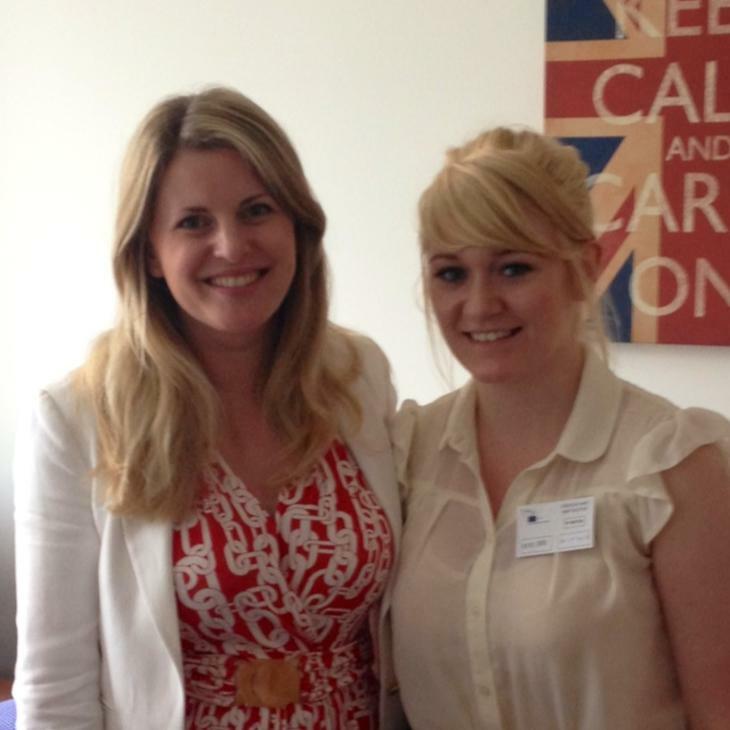 I shadowed my MP for a week in London at the Houses of Parliament, and I shadowed my MEP in Brussels for a week also. I also spent Easter, and am spending my summer, as a Fundraising and Volunteer Intern at a local charity where I live. So here are my few top tips on how I feel I managed to gain this work experience! 1. Ask yourself - what do you enjoy? While your teachers, university and family will be telling you to get all the work experience you can, it is important that it is relevant to your interests and long term career aspirations. I have only ever done work experience that I WANTED to do, as I feel you get the most out of it. Even if you're not sure what you want to do in terms of careers, think in terms of your interests. Work experience only really looks good to employers if it is relevant, in my opinion. It doesn't have to be exactly specific to the career you aspire to, but there needs to be transferable skills involved which would tell employers you could do the job. When I completed work experience at school in year 10 which was compulsory, I signed up for something I thought I would really enjoy, and when I got there I hated it! So even if you hate it when you get there, it's useful in telling you that it's something you don't want to do when you're older! 2. Have a killer CV! Don't just wander into somewhere and ask. Sometimes it may work don't get me wrong, but I've always applied in a formal manner to any work experience. I have always submitted a CV and a letter of interest to the person in question, whether by email or by post. Fine tune your CV. Make sure everything on it is relevant to the organisation in question, make sure spelling and grammar is excellent and make sure it looks professional. All they have to go on is that bit of paper you have handed to them, so make it stand out. Think of anything relevant that would make them want to let you complete work experience. For example, before I had any relevant experience so to speak, I mentioned that I canvassed and leafletted for council candidates a few years ago, that I studied politics at school and wanted to study it at university. They want to see that you're really really interested in their organisation, and not that you've just handed 50 of the same CV out to anyone and everyone. 3. Look the part For my work experience, I had a face to face meeting with each organisation before starting it. Personally I really like that, I like a chat about what you expect of the organisation, what they can expect of you, and it's a perfect opportunity to ask questions. They may even want to interview you. Look smart! Even though you are completely unpaid work, I always dress in formal office wear. Once you get there, if you notice everyone dresses casually, then when you start the experience, you can do so. I just think that first impression is so important, and by making an effort to look smart, they know how much you want it! 4. Communicate EFFECTIVELY Make sure your communication is appropriate to the organisation. Always be formal on initial contact - if you get a laid back chatty response, then obviously feel free to reiterate it. (But always make sure spelling and grammar is good) A few times I emailed my CV and I didn't get a response, so I rang up. Different organisations prioritise different communications, so just get to grips with how best to contact them. 7. Knock on effect Once you're in the door somewhere, I found I experienced a knock on effect. When I worked in my MP's constituency office here at home in Boston, his staff really appreciated me and put in a really good word to him, to support my application to shadow him. Then because I had worked with him, it looked good when applying to shadow my MEP. And again, my MP's constituency office rang her (because they are members of the same political party) and put a good word in. You'll find that if you're in any sort of department, you can always ask if there are opportunities in other departments or if they have partners or anything. The possibilities are endless! Even if they don't suggest other opportunities to you, use your initiative and ask yourself! I hope you enjoyed this blog post, and if you have any questions please don't hesitate to comment below. I hope it could help at least one of you in some sort of way.